A few details from my apartment back in Paris, which I already miss terribly (I know, I'm being silly – I have the beaches of Bali outside my doorstep!)... 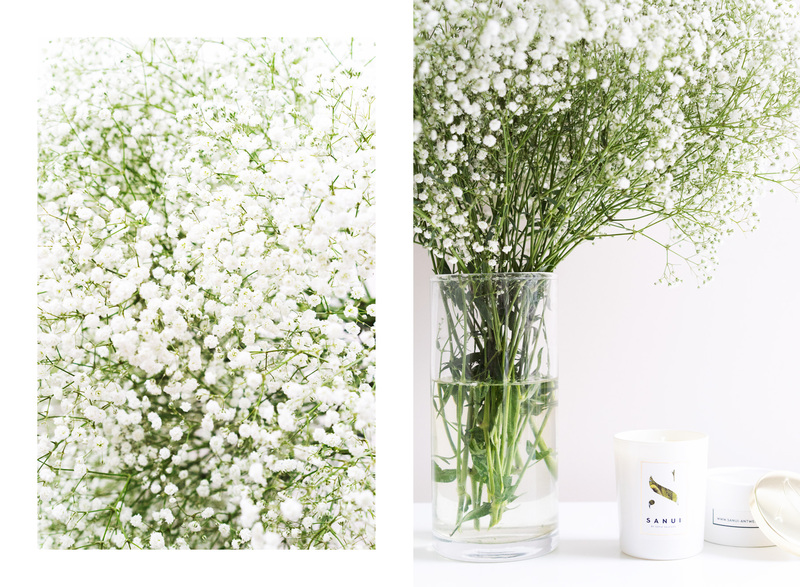 Love me some baby's breath (random fact: in Swedish the literal translation for this flower is "wedding veil") and this lovely scented candle from Sanui that my friend Sofie was kind enough to send over. To my Paris apartment: I'm coming home for you soon, wait for me!